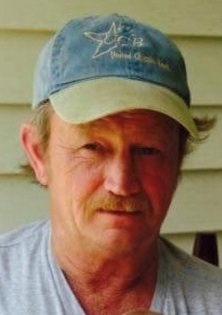 Mr. Michael Lee “Shaky Mike” Wright, of Campbellsville, passed away on Sunday, August 12, 2018 . Born on April 21, 1961 in New Albany, Indiana, he was 57 years, 3 months, and 22 days of age. As a young man, he made a profession of faith in Christ and was of the Baptist faith. He worked many years in the construction industry, and was a licensed Electrical Contractor. Shaky’s laidback and easygoing, though sometimes gruff, manner of talk only hinted at his true inner self – an independent, hardworking man with a heart of gold that shared all he had with those around him. His infectious laughter when recalling a simple joke or prank filled many a job or campsite, and he had a knack for telling the best stories at the most (in)appropriate time. His simple yet loyal friendship will be forever cherished. And a host of nieces and nephews and other relatives and friends. He was preceded in death by his grandparents, Orvey and Jessie Harris, and two brothers, Frankie Wright and Tim Wright. There will be a funeral service to honor the life of Mr. “Shaky” Mike Wright on Wednesday, August 15, 2018 at 1:00 PM in the chapel of the L.R. Petty Funeral Home, 1765 New Columbia Rd, Campbellsville, KY. Bro. Jay Barnett will be officiating. Burial will follow in the Mt. Washington Baptist Church Cemetery, Saloma Rd, Campbellsville, KY. The family will receive friends at the funeral home on Wednesday, August 15, from 10:00 AM until time for the service.